When you feel you are ready to trade on the market, it is essential to find the best online forex broker. Of course, you're looking for a safe, secure and reliable broker. In this article, we will help you find the best online forex broker to invest with. Unfortunately, many online forex brokers turn out to be scams and that's why it's important to inquire before investing any money. If you have any comment, we invite you to leave them at the bottom of this page. Choosing the best online forex broker – What is an online broker? Online forex brokers are companies which provide traders the access to a trading platform in order to buy or sell foreign currencies and other financial instruments. 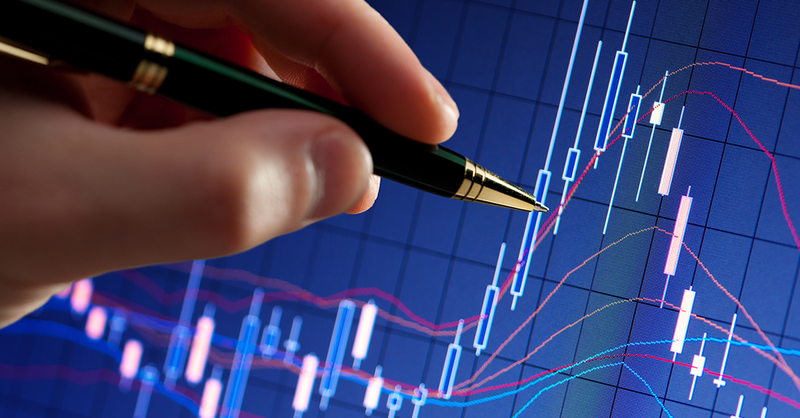 Forex traders place orders through brokers to access the foreign exchange market 24/5. Online forex brokers are only responsible for a tiny share of the total exchanged volume. They get their income from the spread, which is the difference between the bid and the ask price on a financial instrument. Before opening an account with an online forex broker, it is recommended to look for reliable and ASIC regulated brokers, or other brokers under a strict regulation like the Australian one. The majority of online forex brokers offer demonstration accounts in order to test their services and the quality of their platform. Testing the trading platform is a good start, but the most important remains the regulation. Indeed, most trading scams involve attracting advertisements and exceptional trading conditions. Let's analyze how to find the best online forex broker, and what ones to avoid. How to pick the best online forex broker? This register allows you to see if an online broker is regulated in Australia. You just need to type the company's name in the search engine in order to check if its regulated or not. The ASIC (Australian Securities and Investments Commission) is the Australian financial market regulator. For example, the online forex broker Admiral Markets is regulated by the ASIC in Australia. The best forex brokers can also be victims of non-regulated companies which steal their names. Be careful not to open an account with a broker which only looks reliable. Find the best online broker to trade with now! For example, be careful with online brokers that call you on private numbers (why would they use a private number if it is a legitimate company?). The best forex brokers do not use private email addresses like Gmail or Hotmail. Regulated brokers usually have email addresses at their domain, such as contact@reliablebroker.com.au, they also display the general conditions on their website. A reliable online forex broker tends to have bank detail under its own name. When it comes to trading scams, money is usually sent to bank accounts located in tax havens, which have a different name to the company. Online trading is risky and forex brokers are not allowed to solicit prospects. If you're called by someone you do not know, it is probably a telephone marketing call from a company that is not respecting the law. A reliable broker does not canvass prospects via telephone. If you're looking for a forex broker comparator, it's good to keep in mind that forums and other websites often get a financial counterpart for the review they provide. Therefore, if you want to trade on the forex market through CDFs, the best way to compare brokers is to do it in person or to look on the ASIC website for regulated brokers. When in doubt, the best is to contact the ASIC instead of relying on online comparators. Many of these websites are IB for not reliable brokers. Delivering investment advice is not an online forex broker first goal. Therefore, beware if the person you are in contact with offers you highly profitable investments on a short-term period as it is forbidden. The broker's goal is to execute orders, not give investment advice. If your so-called "advisor" offers to take trades and manage your account for you, flee. Trading scams usually adopt an aggressive sales pitch. It is very important not to yield under the pressure and to think straight in order not to lose money. A reliable forex broker won't trade for you. However, you have the possibility to use an automatic trading software if you wish. A reliable broker uses good, well known and safe trading platforms like MetaTrader 4 or MetaTrader 5. These platforms have to be reliable, provide a fast order execution and not be subject to random gaps. A professional broker provides the list of its price suppliers and statistics about order executions. The quality of live order executions must be able to be tested on real accounts as demonstration accounts are usually not on the same servers. Having low spreads is good, but you have to be able to actually get these spreads on your live trading account. The problem is that sometimes low spreads are just a commercial argument to attract new clients without real benefit behind it. Professional forex brokers tend to hold client deposits on segregated accounts in the same area they operate. Moreover, client deposits are not mixed with the company's funds. Trading scams usually use bank accounts located in tax havens. This makes it difficult for clients to get their money back. Make sure you're sending money to a safe bank account when making a deposit. If you are an Australian resident, it might be good to focus on forex brokers that use Australian bank accounts. It might be more advantageous in regard to applied fees, and protection from the law. Reliable forex brokers provide a customer service in your language. Advisors are professional and don't give investment advice as it is not their role. You must be able to easily reach the forex broker by telephone or email and to take an appointment if need be. A good customer service is essential. It is important to know if your broker's customer service is available 24/7 or only during office hours. Usually, customer service of the best brokers are available at all times in case you encounter any issues. Finally, it is important that phone calls to the customer service team are free for callers. 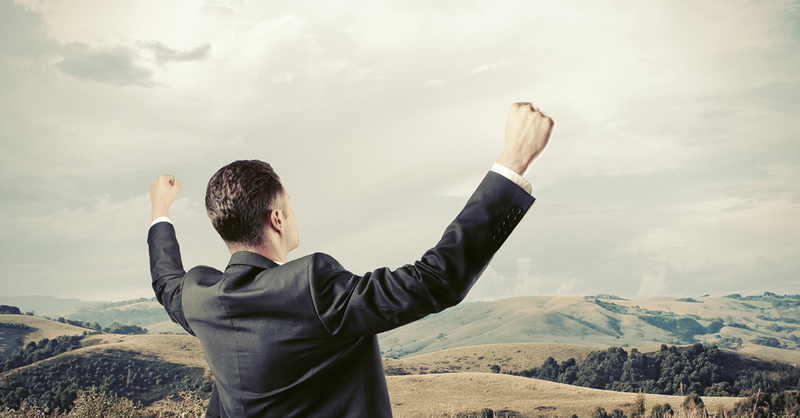 It's now up to you to pick the best Australian broker to trade with. If you are wondering which broker is the best or which broker to choose, you must know the differences between brokers. There are two types of online forex brokers: dealing desk brokers (DD), also known as "market makers" and no dealing desk brokers (NDD). "Dealing desk" forex brokers offer artificial quotes; they make their own market. They are also called "market makers" because these brokers usually take the opposite side of traders' trades when they don't find a matching long or short order from another client. This means that they don't hedge your positions on the forex market, they just fill both buy and sell orders as a counterparty. No dealing desk brokers act as a bridge between clients and liquidity providers. They route clients orders directly to liquidity providers and to the inter-bank market without any market re-quote. "No dealing desk" forex brokers only get paid through the spread. This is the most transparent solution for a trader who's looking to trade on the foreign exchange market. Most forex brokers provide leverages, like 50:1 or 200:1. Leverage is a loan from the broker to the client. To make it simple, if a trader wants to take a $1000 position when they only have $100, the leverage used will be 10:1. Leverage allows traders to increase their position size, as well as their risk. If you are looking for the best brokers regarding leverage, it can be appreciated to have a high leverage that can then be decreased as much as we want. For example, the online forex broker Admiral Markets provides leverages from 10:1 to 500:1. Each trader can choose the leverage which suits him and his strategy the best. Let's keep in mind that leverage can automatically be reduced to 1:1 if you're trading a $1000 position while only having $1000 on your trading account. You can read our article about margins and how they work to get a better understanding of them. Most forex brokers make a profit by executing orders. They keep the spread or the fee when you enter and exit the market. On standard accounts, the broker takes the spread, which corresponds to the difference between the bid and the ask price (supply and demand). For example with the online forex broker Admiral Markets, there is a 0.8 point spread on the DAX 30 and the CAC 40. The more a financial instrument is exchanged, the smaller its spread will be. On ECN trading accounts, the broker takes a fee. For example, with the Admiral Markets Prime account, Admiral Markets takes a $3 fee per order. It is important to stay away from brokers that promise fee less accounts; the chances of them being scams are high. Brokers need a way to make a profit, so if there or no spreads nor fees, it is legitimate to wonder if we will be able to get our money back in the future. Spreads and fees may vary a lot from an online forex broker to another. Brokers can provide fixed, variable, or no spread at all but they all make money out of an order. Taking the time to compare all offers on an Excel table to run simulations can save you a lot of money. Sometimes, picking the cheapest online forex broker can make a trader go from balanced, to profitable. However, it is usually the most affordable brokers that are the most expensive. When accounts can be opened with a $10 or $20 deposit, spreads tend to be high. These online forex brokers are trying to attract novice traders who are not yet aware of the importance of order fees. On the other side, forex brokers that have mainly professional clients will ask for higher deposits (hundreds or thousands of dollars), but transaction fees will be lower, and charged depending on the volume (position size). The third most important element to take into consideration in your online forex broker's choice in the minimum deposit required in order to open a trading account. Most trading accounts can be opened with a low initial deposit, such as $50. Of course, position sizes can be higher than initial deposits thanks to leverage. That's why trading the foreign exchange market is so popular; small deposits and a fast accessibility to the market's price. Beware of online forex brokers that offer no deposit bonuses, they usually are scams. Even if forex trading is speculative, trading with a small capital and a high leverage is very risky and might result in losses. If you wish to invest, usually $200-300 is not enough, even if the minimum deposit doesn't require more. The main difference between regulated brokers and scams are the ability to withdraw funds. It is always very easy to make a deposit, but we can't say the same when it's the other way. Moreover, fraudulent brokers may offer every possible way to make a deposit, while reliable brokers will prioritize bank wires, debit/credit cards, Neteller or PayPal. Regulated and reliable brokers will send withdraws through the same way deposits were made in order to respect the law and prevent money laundering and tax fraud. If a forex broker offers you to help avoid taxes, stay away from it. It means this is a not a reliable broker. However, the most important for a trader is to find the financial instruments he wants to trade, in the best possible conditions. The broker's choice is a central factor for the smooth running of an investment strategy on the foreign exchange market. Therefore, choosing a broker should not be taken lightly. A deposit bonus or an enticing advertisement is far from enough to bring safe trading conditions and guarantees. In this year 2018, forex brokers legitimacy is more than ever at the center of all concerns. Abuses are singled out and laws are passed to stop deceptive offers. Is it enough? Of course not. The web is very broad and new forex brokers emerge regularly making the choice even more difficult. Many investors get robbed by unscrupulous brokers. To avoid this kind of unfortunate experience, it is highly encouraged to choose an online forex broker that provides all the necessary guarantees. Therefore, the first thing to do is to check for the broker's license. When it comes to Australia, a license has to be delivered by the ASIC (Australian Securities and Investments Commission), the Australian financial market regulator. A free demo account is one of the most important requirements that need to be provided by an online forex broker. Moreover, the best brokers always offer this kind of account. Demo accounts are funded with fake money in order to allow novice traders to experiment trading on real markets. Trading with a demo account is the first step before investing real money. Even though the online forex broker demo account is funded with fake money, it shows the novice trader the impact of his decisions on his trading capital. Market movements are the same as on real accounts, so it is a very good way to practice before facing real trading situations. Brokers that do not offer demo accounts are usually dedicated to experienced and senior traders. Most online brokers also tend to provide video tutorials and guides in order for traders to familiarize with forex strategies. We have discussed tips to know if an online forex broker is reliable or not, but this list is not exhaustive. If you want to leave a comment regarding how to find a reliable broker, do not hesitate to leave it at the bottom of the page. Before investing real money, you can trade on a demo account. For those who want to trade with a reliable Australian broker, the best is to find it in person without trusting online comparators (as explained above in this article). The best-provided broker services are not limited to its platform, its smartphone application, or its free signals. Of course, a good broker provides all these services and more but the most important is not there but in the market itself. As we have seen before, most brokers are "market makers", which means the broker is an intermediary between the trader and the market. The broker makes its own quotations, its own price. "No dealing desk" brokers which offer ECN accounts are direct intermediaries between the trader and the inter-bank market. These types of accounts are usually used by professional traders. If you are considering trading the foreign exchange market as a business, it is certainly the best choice. You can find more detail on our website, as Admiral Markets is an ASIC regulated broker. As you may know, the daily exchanged volume on the foreign exchange market is huge, making it one of the world biggest financial market. In order to invest your capital on this market, you must pass through an online broker. Which broker is the best to invest on the markets? There are lots of growing trading scams on the internet, and that's why it is important to choose well your broker and trading platform. It is not an easy thing. If you are looking for an online Australian forex broker, the best is to find one that is under the regulation of the ASIC. For your information, Admiral Markets is a reliable and ASIC regulated broker. Get to know more. 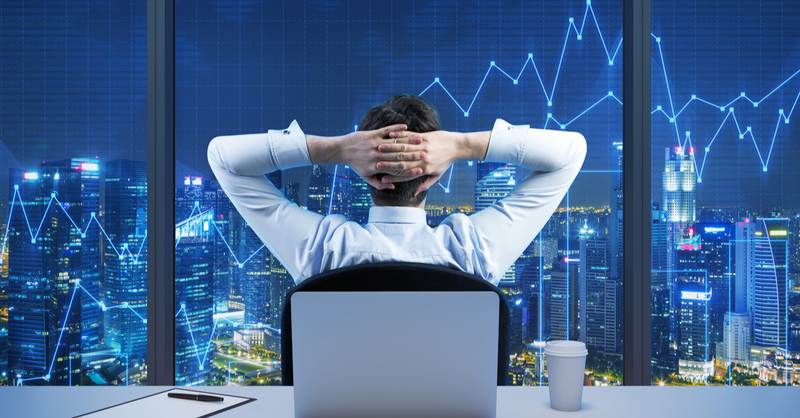 The growing number of online forex broker allows anyone who has a computer and an internet connection to start trading on the forex market. The platform's choice will also impact your trading success. As we have seen in this article, many criterias need to be reviewed in order to find the best online forex broker to suit you. Transaction safety, trading fees, and customer services are part of the criterias to analyze before making a choice.